In Performance is intended for young people who are auditioning for both undergraduate and graduate programs, as well as professional productions and industry meetings. 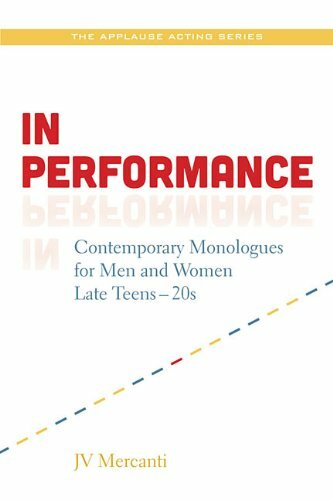 Featured are dynamic monologues from contemporary stage plays of the past 15 years, chosen from the point of view of a professional acting teacher, director, and casting director. Along with covering the basics of how to match the best monologue to the actor and how to approach the rehearsal and performance of the piece, the book provides a synopsis of each play, a character description, and a list of questions specific to each monologue that will direct the actor toward shaping a complex, honest, and thoughtful performance that has a strong emotional connection, a clear arc, and playable actions.